This week is totally getting away from me. However, that's due in part to the three-day weekend we just had. It's also due to the heavy-thinking I've been doing about creating intuitively. I had to jot down the pondering below about the following doodles. Today I was organizing the craft room and making an attempt to sort through the miscellany I've collected. 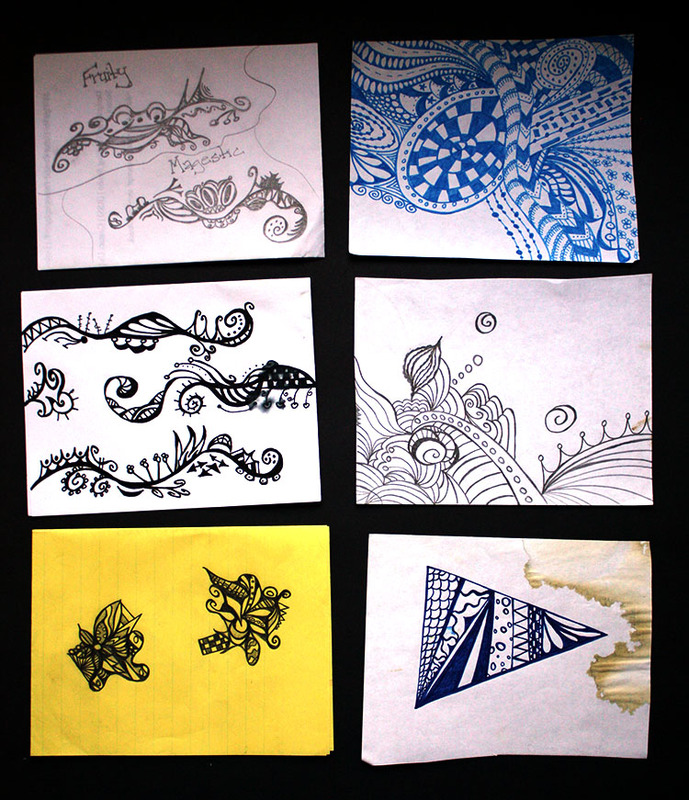 As I flipped through a file of some of my old doodles, I was surprised at how much they resembled Zentangles to an extent. 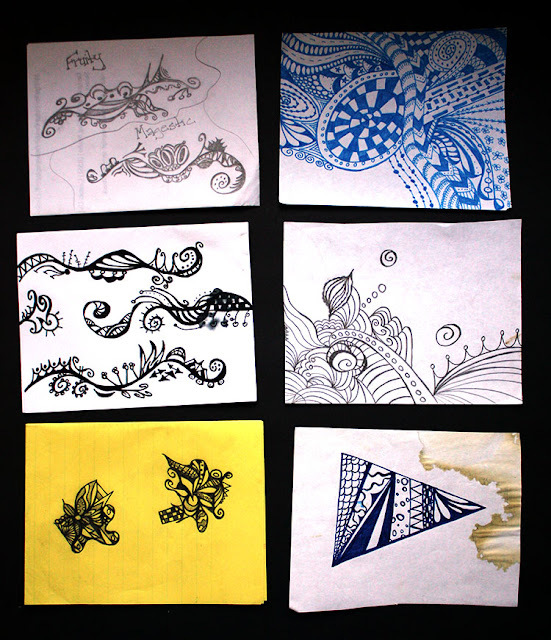 I don't remember having the ability to create those type of patterns and shapes. But, apparently I did. It's made me consider the impact of constant internet inspiration on my own ability to create and be inspired. Though the internet is packed with inspiration and tutorials and Pinterest eye-candy, it's left my own inspiration and belief in my skills stunted. The pretty pictures, perfect results, and thorough tutorials have made my own abilities feel inferior and have left me with little desire to tackle projects because it feels like they've already been done and better. I think I really needed that revelation and reminder that I shouldn't compare myself to others, shouldn't try to recreate what they've made. I need to look inward and around (up from the computer) to find my path. How has it taken me over 40 years to realize this? Doesn't matter, at least I've finally gotten here. Anybody else feel similar? Just me? Thanks! I think I just need to stop comparing myself and just make what makes me happy and what I enjoy. I have talent and you do too. We just have to do it! Oh Hope, I'm sorry you are feeling frustrated! Take a glance at the book, How to Steal like an Artist, it's premise is that there are no original ideas, and that we all inspire each other and create something unique... You are an amazing artist, and obviously sensitive, just be fearless and do what you want! Pinterest is a dangerous place. lol Too much perfection. I was inspired by some ideas, but took things in a different direction to make my own unique creations. I agree, it seems like every idea has already been done, so why bother? But starting with someone else's idea breaks the ice so you can develop your own style or put a new twist into the design. I try things just to see if I can do it and that in itself is enough sometimes to give me the courage to move forward. Your art is wonderful! You just need to believe more in yourself. 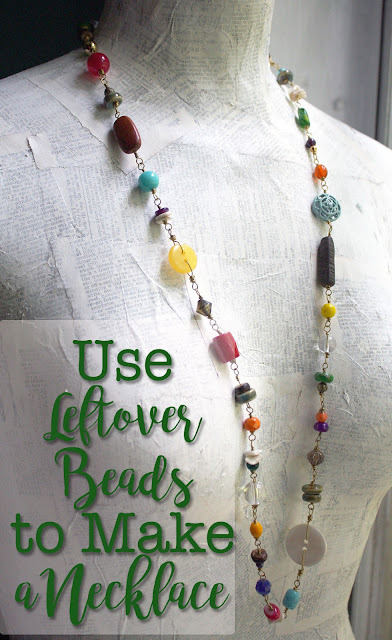 I have never seen anyone recycle items into fresh jewelry perfect for today's tastes as well as you.